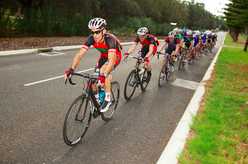 ​Click here to read about all the action from Singapore and regional cycling races. We have all the latest reports from 2018 as well as an archive going back to 2012. ​"Have bikes, will travel." From the gloriously empty steppe of Mongolia and the bustling streets of Amsterdam, to the Tour de France and the UCI World Championships in Qatar, and much more. Click on this link to read about our global cycling adventures. ​This section takes you to an extensive archive containing race reports from just about every race that leading cycling events firm Cycosports has ever staged.